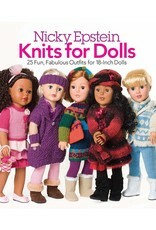 SP NE Knits For Dolls - Crochet Stores Inc. 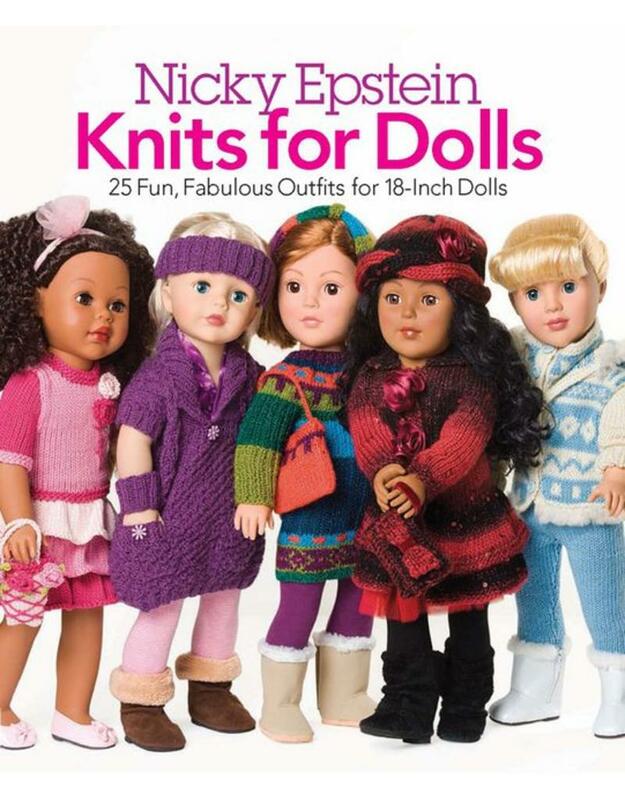 Designer, author, teacher, and knitting celebrity Nicky Epstein has created a stylish delight: 25 playful, fashion-forward patterns for 18-inch dolls. The enchanting pieces range from classic to chic and include everything from tops and pants to dresses skirts, and coats—even a lacy princess gown! Adorable accessories (hats, headbands, scarves, purses, mitts, and socks) complete this cutest-ever wardrobe of Nicky Epstein originals.